Ginger excels in building relationships and having a great understanding of her clients needs, which makes the home buying process a unique and fun experience. Her abundant energy and sincere compassion for people allows her to work tirelessly to connect with her clients on a personal level to help them find their ideal home and neighborhood. 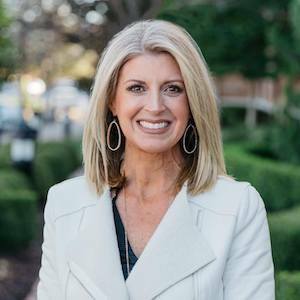 Ginger’s years of experience working with clients throughout Northeast Tarrant County has made her an expert in the market and communities. Through many diverse transactions, Ginger tackles challenges to provide the best outcome for her clients. Her amazing eye for style, knowledge of the latest market trends, polished image and communication skills, help clients develop an immediate connection, feeling confident, comfortable and cared for. Ginger’s love of life shines through her work ethic by going above and beyond, and putting her clients wants and needs above her own. Ginger is proud to call Texas home. Born and raised north of Houston, she has been a resident of Trophy Club for over 20 years where she raises her son and daughter. She enjoys being a dance mom, attending sporting events, traveling, outdoor sports, fitness, and spending time with family and friends. She has devoted numerous years serving and investing in the lives of people through her community, schools and church. Ginger is a graduate of Abilene Christian University with a Bachelor of Science degree.